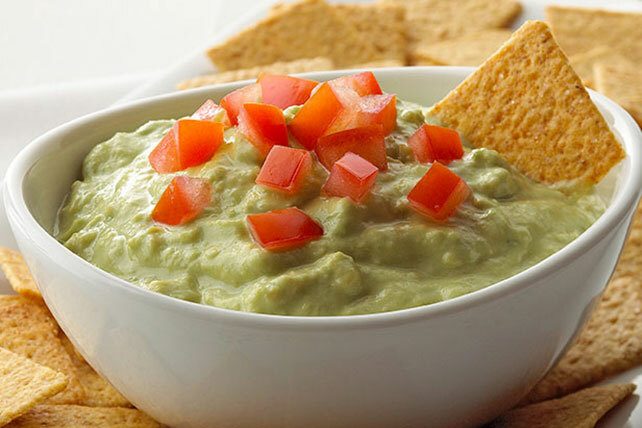 Get ready to guac out with this Easy Guacamole recipe! This delectable dip includes only 5 ingredients for a simple, surefire way to please the crowd. Mash avocados in small bowl. Add all remaining ingredients except tomatoes and crackers; mix well. Top with tomatoes and serve with crackers. Serve with tortilla chips or cut-up fresh vegetable dippers in addition to crackers.